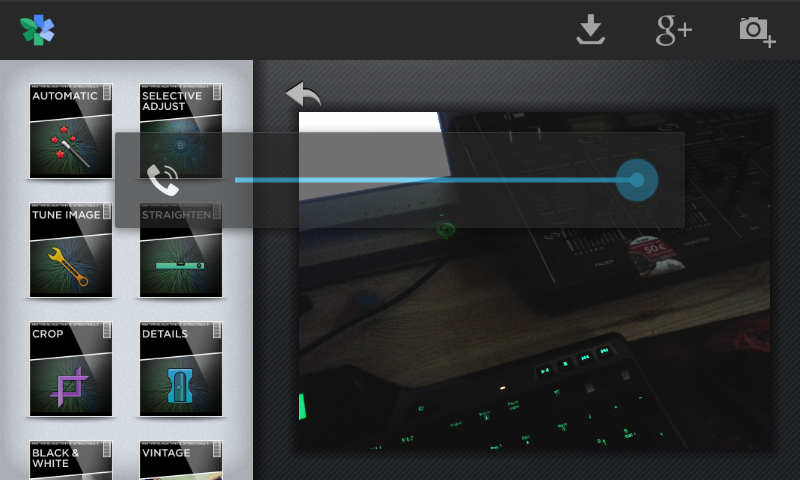 The problem, almost all the features are already available with the edit-feature starting with Ice Cream Sandwich. Don't get me wrong. I lobe choice and new apps. But another app using memory for a feature that is already built -in. No big deal. But this app is from Google, as Google bought it. So where is the deal? It even misses a feature. You can't even scribble or "doodle" on the photo. A feature to pixel or blur-out a part would also be nice. That is a problem with "edit", too. The doodle is always transparent. So how am I supposed to hide number-plates or faces in this paranoid world? I get it. 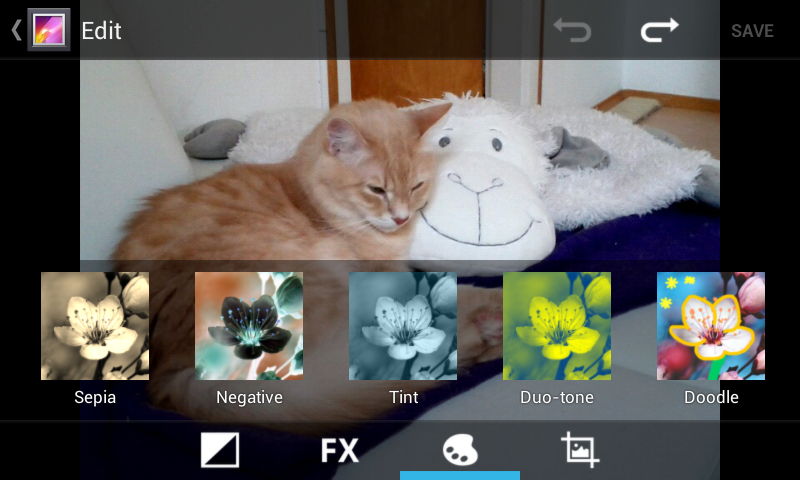 There are some few filters that the edit-feature misses. 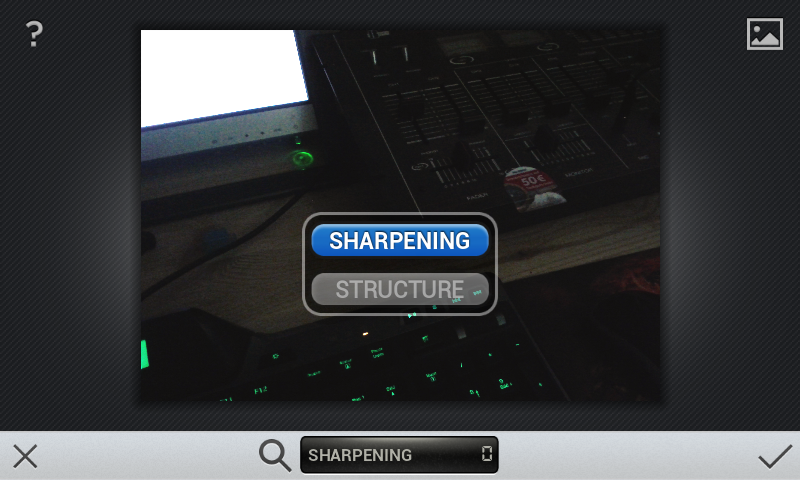 And the edit-feature from the firmware have at least 1 that can't be find in Snapseed right now (release 2012). A hefty 24MB download, installed even more, consumes up worthy memory on your device. So check if you not already satisfied with the normal edit of Ice Cream Sandwich 4.0 and up.